Social challenges are numerous, complex, urgent and multidisciplinary in nature. The old ways of looking for solutions to social problems like unemployment, climate change, an ageing population, poverty, supply of clean water, chronic disease and so on, do not offer sustainable solutions and global implementation. Societies can also no longer hold governments responsible to find solutions to all these social problems only. Social innovation is needed and seeks new answers to social problems by identifying and delivering new services that improve the quality of life of individuals and communities. The main aim of this chapter is to create awareness of social innovation as an emerging field. This chapter explain what social creativity and innovation are and explains the creative and innovative processes. Barriers and support for social innovation are also discussed. Today’s global challenges have economic and social implications on societies and the world at large. Many governmental and philanthropic efforts today are not creating the required social change as required by societies across the world and major social sector institutions are often viewed as ineffective to resolve social issues (Dees, 1998). The importance of social entrepreneurship in economies cannot be underestimated or ignored. Drayton (2010) explains that more social entrepreneurs are needed to solve social problems and to ensure effective and sustainable solutions to social problems. Social entrepreneurship, according to Peredo and McLean (2006:64), is exercised where some person or group: “(1) aims to create social value exclusively or in some prominent way; (2) shows capacity to recognise and take advantage of opportunities to create value; (3) employs innovation, ranging from outright invention to adapting someone else’s novelty, in creating and/or distributing social value; (4) is willing to accept a degree of risk in creating and disseminating social value; and (5) is unusually resourceful in being relatively undaunted by scarce assets in pursuing their social value.” Social entrepreneurship involves the recognition, evaluation and exploitation of opportunities that result in social value, which differs from the traditional conceptualization of entrepreneurship, which focuses on profit generation and building personal or shareholder wealth (Austin, Stevenson & Wei-Skillern, 2006). The creation of social value is what makes social entrepreneurship a specialised sub-discipline within the field of entrepreneurship. Social value is the fulfilment of basic and long-standing needs in society and normally has to do with food, shelter, education, employment and medical services, according to Certo and Miller (2008). Social entrepreneurs also have a good understanding of social needs and aim to fulfil these needs and make a difference in their communities by creating socially-orientated ventures, for example, the Better World Books UK organisation which addresses the global literacy problem by funding community reading programmes via sales of donated books. Social entrepreneurs establish new ventures to generate social value and achieve social change and often come up with “an innovative approach for dealing with complex social needs’’ (Johnson, 2002:1). Austin et al. (2006:2) explain that social entrepreneurship is the “innovative, social value creating activity that can occur within or across the non-profit, business or government sectors”. Social entrepreneurs can therefore be viewed as social innovators (Casson, 2005) due to their engagement in a process of continuous innovation, adaptation and learning (Dees, 1998). Social entrepreneurs are needed to develop new models for a new century and to create new and innovative solutions to solve social problems. Social innovation is much broader than either social entrepreneurship or social enterprise – although it will often include one or both of these (Social Innovation eXchange (SIX) and the Young Foundation, 2010). Social innovation specifically is critical to tackling issues like economic growth and ensuring long-term sustainability and competitiveness for the future, unemployment, an ageing population, social exclusion due to ageing, poverty and/or cultural diversity, supply of clean water, chronic disease and the need for radically new and innovative public service models, to name a few. This chapter focuses on social creativity and innovation specifically as means to generate social solutions to complex social problems. The chapter will explain the role of creativity in social innovation and highlight the creative process that social innovators can use to generate novel ideas. Social innovation will be explained, the social innovation process will be described, barriers to social innovation will be identified and ways to support social innovation will be discussed. 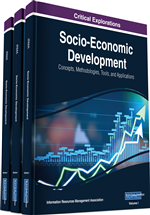 The main aim of this chapter is to create awareness of social innovation as an emerging and very important field and its link to social entrepreneurship and social enterprises.